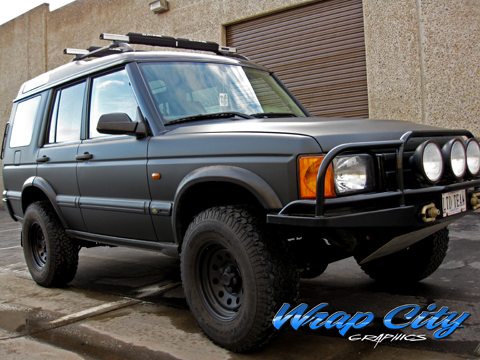 Today’s project was a white Matte Black vinyl wrap on a Land Rover. 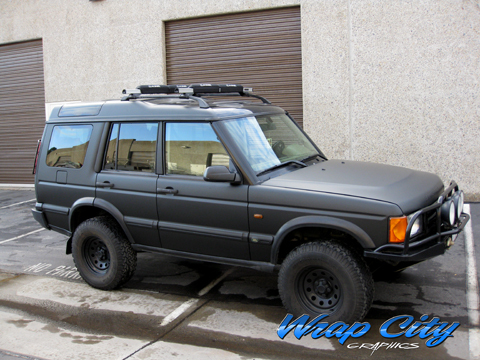 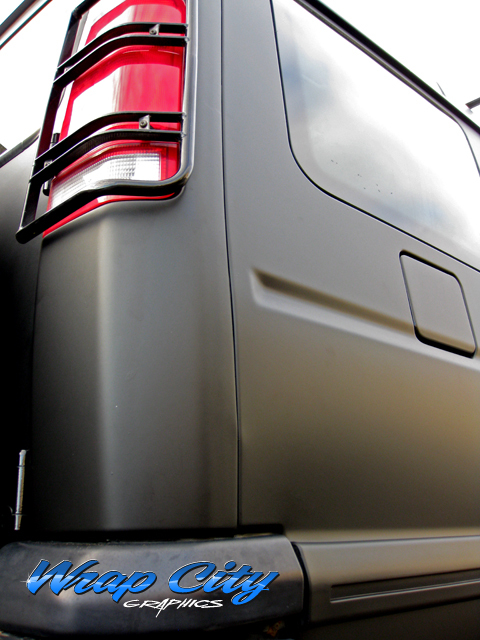 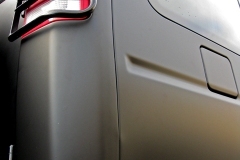 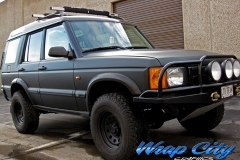 A matte black wrap is an adhesive backed cast vinyl film that is applied to the vehicle in order to alter the appearance without the commitment of painting. 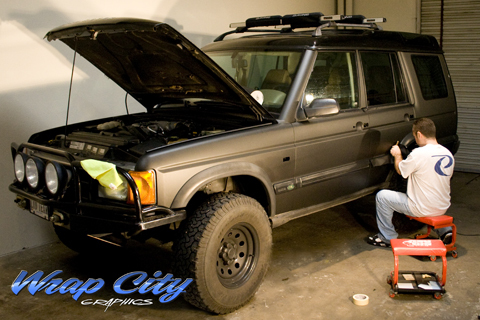 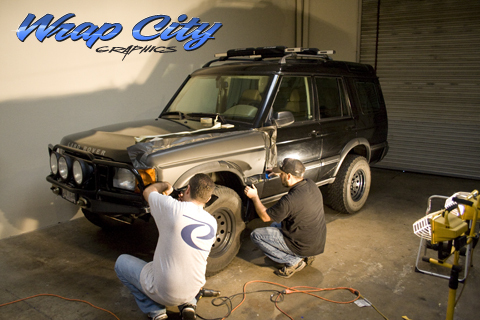 Wrap City San Diego uses the latest 3M cast v3 vehicle wrapping film with a matte over laminate to protect your investment while giving your car the unique look you desire. 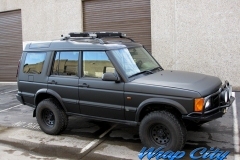 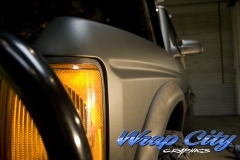 Wraps are removable and preserve the quality of the vehicles factory paint.